BattleTech Fourth Edition is the fourth generation BattleTech starter box and contains everything that is needed for play. “ NO GUTS, NO GALAXY! Strap yourself into the ultimate suit of armor-the BattleMech. Thirty feet tall and weighing up to a hundred tons, this humanoid engine of destruction is a walking arsenal with enough firepower to level a city block. 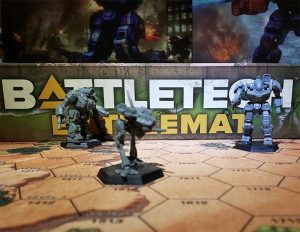 The BattleTech game system takes you into the world of the 31st century, where war has become a way of life as vast empires and tiny factions battle for control of humankind. 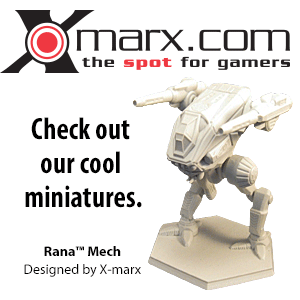 In command of the most powerful machine on the battlefield, your MechWarrior fights to take a planet or lose an empire. The introductory game in the BattleTech line, BattleTech Fourth Edition hurdles you onto the battlefield of 3049. The appearance of most of the 24 BattleMechs, which were included in this product as stand-up playing pieces, differed slightly from the original art of Technical Readout: 3025. They were redesigned for this box to give them a modern, more elegant look. However, their official art did not change with this. This page was last edited on 29 September 2018, at 08:52.